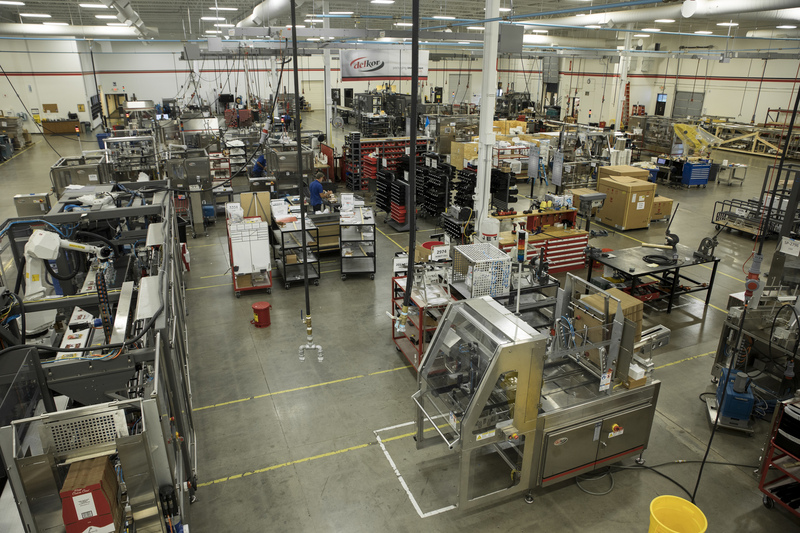 Here in St. Paul, we design, build, and manufacture automated packaging systems primarily for the food industry. Our cartoning and casepacking equipment is typically installed downstream of the filling equipment that is responsible for filling product into cups, bottles, tubs and or pouches. Our international business is primarily with companies located in Canada and Mexico, however, we have installations in Australia & New Zealand, Japan, Ecuador, and Brazil. We employ about 200 employees at Delkor, and we have been doing business internationally since the early 2000s. Over the next three years, we would like to double our international business from current levels, and we hope to do this by building up our sales staff and marketing presence internationally. In order to execute this plan, we need trade barriers to be lifted. Tariffs are a big challenge for Delkor as we are looking to expand and grow. Washington can help us overcome these challenges and help reinvigorate our international business if we are able to lessen the restrictions to commerce in these regions. You can look at our success in supplying packaging systems into Canada and see the results of solid trade agreements. Having Washington support free trade agreements is also extremely important as we look at countries like Brazil. Brazil has a great need for packaging systems like ours, but there are also extremely high tariffs in place that hinder our ability to compete in that market. We are relying on Washington to renegotiate NAFTA and other trade agreements to help bring down the barriers of trade so we can grow and hire more skilled workers. Currently international business sits right about six percent of our total revenue, and with strong agreements, we can double our business. We really need to be sure that we can trade freely with other countries and minimize any of the possible barriers that exist if we want to reach our goals.